IIT vs MIT vs Stanford vs Harvard- What Should I Pick? 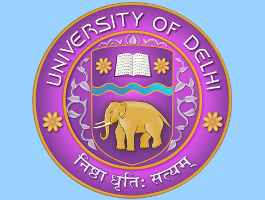 An inquisitive question which makes baffled our mind is - which is better studying in Top university of India or join Top Universities of Abroad? Through this article, we are trying to clear your concepts about to study in India or abroad, in universities IIT vs MIT vs Stanford vs Harvard. In a juxtaposition between IIT vs MIT vs Stanford vs Harvard, we initiate the depiction from IIT. Indian Institute of Technology is an eminent name in India or across the globe for its world-class excellence in technical education. 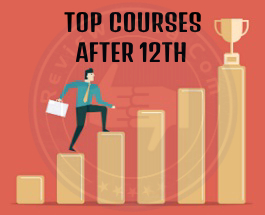 IIT is considered as one of the toughest Entrance Examinations in India due to various factors like difficulty level of exam, availability of less no. of seats, and qualifying rate. Currently, there are 23 IITs in various cities of India, Let’s have a look to the list of IITs, its ranking, availability of seats, and no. of programmes offered by them. MIT is a Cambridge, Massachusetts based Private Research University which was established in 1861. MIT is distinguished for its scientific & technological research and training. The Radiation laboratory administered by MIT became the leading centre for radar research and development for the nation also has other military laboratories. Out of IIT vs MIT vs Stanford vs Harvard, Massachusetts Institute of Technology offers both graduate and undergraduate programs. Perhaps, MIT is best known for its programs in engineering and the physical sciences but there are five academic schools which you know about— the School of Engineering, the School of Architecture and Planning, the MIT Sloan School of Management, the School of Humanities, Arts, and Social Science, and the School of Science—and the Whitaker College of Health Sciences and Technology. While other strong areas are—notably political science, economics, linguistics, urban studies, and philosophy. Total enrolment the institute has about 10,000. According to QS world university rankings 2019, MIT is ranked no. 1 in the world. By U.S. News 2018, the University is ranked 3rd in the category of National Universities and 2nd in the category of Global Universities. It was also secured 1st position in the category of best engineering schools and 5th in the category of best Business schools. Stanford University officially called Leland Stanford Junior University a well-known name in the field of excellence in education. It was established in 1891 by Leland and Jane Stanford in the remembrance of their only child. Among IIT vs MIT vs Stanford vs Harvard, Stanford University offer both undergraduate and graduate programs. According to Bloomberg 2019, Stanford University is ranked no. 1 for Bloomberg Global Best Business School and in the same year Financial Times gives it no. 1 position in FT Global MBA Ranking 2019. In comparison between IIT vs MIT vs Stanford vs Harvard, Stanford University has 5:1 student-faculty ratio. Established in 1636, Harvard is the oldest and prestigious institution of higher education in the United States. In 2019, Financial Times gives 2nd rank in Global MBA Ranking to Harvard University. Among IIT vs MIT vs Stanford vs Harvard, Harvard University is ranked 3rd globally by QS World University Rankings 2019 and 6th by Times Higher Education globally. 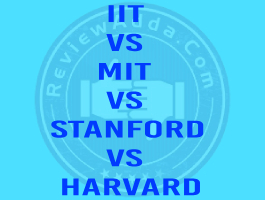 After go through the information regarding all the four renowned universities - IIT vs MIT vs Stanford vs Harvard, we are able to start the comparison between IIT vs MIT vs Stanford vs Harvard without any delay. So, let’s trigger it with IIT vs IMT out of IIT vs MIT vs Stanford vs Harvard. In comparison between IIT vs MIT vs Stanford vs Harvard, IIT or MIT says the passion for studying science, an aptitude for research and the ability to do team work, are the best qualities that foreign universities look for while recruiting students. Contrary to these, IITs solely focus on the ranking secured in the entrance tests by the students. Often, this objective type assessment is not an accurate measure of an individual’s capability and interest. There is no doubt that the IITs have some of the best minds of the country, but the vital question is, do the students love what they study. Among IIT vs MIT vs Stanford vs Harvard, to start with IIT, the coaching institutes which primarily prepares applicants for the IIT entrance exam accentuate on strategic problem solving and time management. For example, it is advised to save the time first by solving easy problems rather than take up the challenge to solve difficult problems. Next concern thing about coaching centres is they often lay stress on ignoring school education and incline more towards IIT preparation due to which the necessity of proper education has been compromised. On the other hand, passion and interest for a particular subject are the qualities foreign universities swear by. Among IIT vs MIT vs Stanford vs Harvard, the field that you get to study completely depends on your IIT JEE rank. Thus a person who has no interest in mechanical engineering might be forced to study it because of his rank. There is no provision to change your subject in case you develop an inclination for some other branch. And even if you have the option to do so, the process is very tedious. Foreign education is pretty flexible they value an individual. In comparison between IIT vs MIT vs Stanford vs Harvard, education is definitely more expensive abroad than in India but one ought to pay for quality. Foreign universities boast of a robust infrastructure including, modern labs, modern teaching facilities, good quality hostels, food, etc., which their Indian counterparts generally lack. The faculty is inspired to shine and be role models. Unlike IITs faculty, foreign universities gave good pay and resources to provide quality teaching. The ratio between student and teacher is balanced in foreign institutes enabling teachers to give individual attention. Among IIT vs MIT vs Stanford vs Harvard, a budget of Rs. 200 crores of IIT Madras hardly crrelates against millions of dollars of endowments of MIT, Caltech and Harvard. Despite this, world-class journals have published about professors of IIT Madras. Out of IIT vs MIT vs Stanford vs Harvard, In recent years, IIT Bombay hired over 26 new faculty members, predominantly from Wharton, INSEAD, MIT etc. Now, the question raised is “Why would young PhDs/ brilliant faculty from these well-known schools voluntarily relocate to IIMB unless they saw the possibility of doing world-class research and teaching there? Why do global companies, banks and consulting firms repeatedly hire from IITs/IIMs? When we are talking about the difference between IIT vs MIT vs Stanford vs Harvard, Foreign institutes work on to make an individual “life ready” rather than “job ready”. They embolden interactions among participation in clubs peers, and extra co-curricular activities, travelling for internships and teamwork. Alumni meets are organized regularly which are mutually favourable for current and ex- students. They want to produce leaders for tomorrow and realize the equal importance of social skills. At the IITs, mundane competition is a priority. The flare is often adrift when students are busy balancing creativity and exam preparation. Among the four IIT vs MIT vs Stanford vs Harvard, there is a trend in IITs is to opt an MBA from a premier institute after completing an engineering degree. This not only is a waste of the engineering degree, but also a waste of time, money and effort of four years pursuing a course in which a student was never really interested in. On adverse, it is noticed that after a foreign degree, students often are keen on further specializing in their chosen fields and also get into academics. We only urge you to consider all the choices available to you before you make one of the most important decisions in your life. The Indian education system is far behind when compared to other countries. The top notch institutions such as IITs and IIMs lag behind institutes such as Harvard, MIT, Stanford, etc. When we look at UG programmes and compare United States with India, there is a utter difference in practical approach, teaching methodology, brain storming, etc. Anil K Gupta, Michael D. Dingman Chair in Strategy and Entrepreneurship, University of Maryland, had once stated institutions like MIT and Stanford, the technology power houses of the US, the undergraduate students that are coming out really don’t do any research. There could be a rare example of an UG student who does any research. It is when you look at the graduate programs, PHD programmes and faculty research, that’s where there is a big difference between what happens at IIT vs MIT vs Stanford vs Harvard. As a research institution, IIT still has a long way to go. A similar debate took place on Quora too, where someone asked “What makes MIT better than IIT” and the thread saw interesting answers. 1.The peer group: In comparison between IIT vs MIT vs Stanford vs Harvard, the level of MIT, it is at a whole new level. MIT, the Open House have a person from SpaceX, Jet Propulsion Laboratory at NASA, etc. In short, it’s the people what makes MIT great and better institute than the IITs. Infrastructure: Out of four IIT vs MIT vs Stanford vs Harvard, MIT has a state-of-the-art infrastructure such as research equipment, etc. MIT gets the huge amount of funding from various well-known organizations for cutting edge research. On the other hand; IITs need to go a long way to match the level of MIT infrastructure. Teaching practices: Among IIT vs MIT vs Stanford vs Harvard, MIT spends more time on research work than classroom teaching, whereas, at the IITs, they will give more time on classroom teaching than research. The hierarchy: In comparison between IIT vs MIT vs Stanford vs Harvard, there is no hierarchy between teachers and a students, students can discuss anything and everything at any time. Professors are like friends who solve the research problems with students. But at IITs, there is a proper distance between professors and students, there is a clear hierarchy. Professors are referred to as ‘Sir’ and we can't talk about anything and everything with them. Faculty: MIT has a strong entrepreneurial culture. MIT alumni have won 34 Nobel Prizes. In the discussion between IIT vs MIT vs Stanford vs Harvard, as we already informed about the Stanford University fees structure, entry criteria, etc but here we discuss some more information and facts about Stanford University, officially known as Leland Stanford Junior University. Stanford favourably maintains their study centres situated overseas in Germany, France, Argentina, Italy, Japan, England, Mexico, Chile, and Russia; about one-third of its undergraduates study at one of these sites for one or two academic quarters. 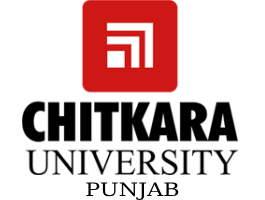 The university offers a huge range of undergraduate, graduate, and professional degree programs in schools of medicine, law, education, business, engineering, earth sciences, and humanities and sciences. The total no. of enrolment exceeds upto 16,000. It is a national centre for research and a home of over 120 research institutes. The faculty of Stanford has included many Nobel laureates, including Arthur Kornberg (biochemistry), Milton Friedman (economics), and Burton Richter (physics). Among the university’s many notable alumni are painter Robert Motherwell, writers John Steinbeck and Ken Kesey, U.S. Supreme Court Justices Sandra Day O’Connor and William Hubbs Rehnquist, golfer Tiger Woods, and astronaut Sally Ride. Acceptance rate: As per the statistics, over 20000 applications are received for graduate studies at MIT/Harvard University out of IIT vs MIT vs Stanford vs Harvard. Admissions are given to over 3000 students. Among these, the registration for advanced degree programmes is over 2000. On the other hand, more than 10 lakh students appear for JEE Main and JEE Advanced. Admissions are offered to around 13000 students. According to the reports are to be believed, the rate of acceptance of IITs is only 1% as compared to MIT which stands at 8%. These facts & figures are based on registration forms of applicants received for admissions at IITs, MIT and Harvard every year. While some believe that to get admission in MIT and Harvard are tougher than IIT but some think just the opposite. Admission criteria: In a juxtaposition between IIT vs MIT vs Stanford vs Harvard, the main focus of IITs is on the ranks secured by applicants in the entrance exam. On the other hand, MIT and Harvard University acknowledge the over-all performance of a candidate. Foreign universities lay insistence on team-work, research, and a student’s passion which is dissimilar from the assessment measure Indian Universities follow. Area of interest: Among IIT vs MIT vs Stanford vs Harvard, MIT and Harvard University offer opportunities’ to students to carry out research in their preferred areas of study. However, IITs lack this facility. In the year 2014, Chitraang Murdia a 2014 topper of JEE advanced quit his B.Tech programme at IIT Bombay and went on to pursue Physics at MIT. According to him, he has interests in computer sciencebut his passion lies in physics and pure sciences. This shows that IIT has the lack of required research atmosphere for pure sciences at the UG level at IIT Bombay or for that matter other engineering institutes in India. Over-all development: In a juxtaposition between IIT vs MIT vs Stanford vs Harvard Studying at a foreign institute gives you an opportunity to be life-ready and not only job-ready. MIT, Harvard University and colleges in their league encourage interactions among peers, extra co-curricular activities, club participation, travelling for internships, teamwork, regular alumni-meets etc. Developing and improving social skills amongst students are two of their important focus areas. However, IITs believe in competition. The rat-race keeps the students so busy that their overall development goes for a toss. Career prospects: Out of Among IIT vs MIT vs Stanford vs Harvard, after pursuing an UG degree from MIT or Stanford or Harvard enormous career opportunities come your way. 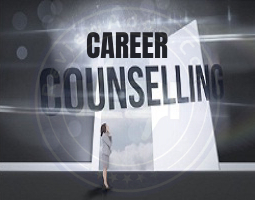 Moreover, students after completing a degree from these prestigious institutions tend to specialize in their chosen fields and also get into academics. But pursuing MBA from a top notch management school after completing B.Tech degree from IITs the general trend observed in India. Among IIT vs MIT vs Stanford vs Harvard, both Harvard and Stanford are top Universities in America. Harvard lies on the East coast while the Stanford is situated on the West Coast of the United Sates. Why is Harvard University better than Stanford University? Why is Stanford University better than Harvard University? Harvard has 2,497 faculty members in the non-medical division and 10,674 medical faculties.